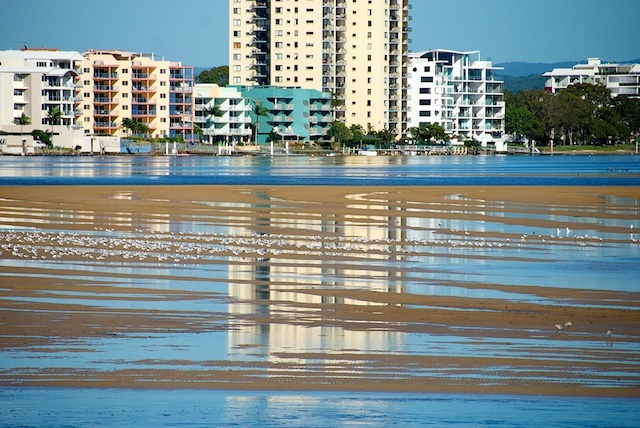 I don't mind admitting it, as I walked out of the caravan park at Cotton Tree and saw the reflections through the sand flats, I gasped! Yummy patterns in the water. I love what a bit of water and sand can do. And when the surrounds and the sky cooperate and make lovely pictures. It's gorgeous. And is that a blue sky? A wonderful capture indeed! Nice reflections!